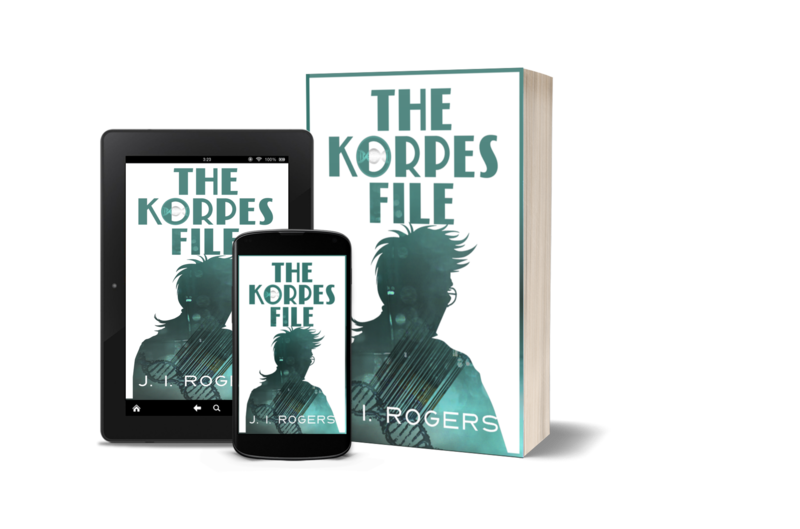 There are a lot of characters to keep track of in “The Korpes File”. Here is a complete listing of their names grouped by location, and a brief description of their role in the story. Separate lists will be added with new characters upon the release of each new book to avoid spoilers. Warning, this list contains spoilers. General Ken Galen – CO of Farlen Station, Korlune’s deepest fortified foothold in the Seep. Lieutenant Dylan Glass – ‘By-blow’, a half-Korlo – Diasporan. Military Guard, assigned to Nash at Teslem Station. Colonel Kael Sunde – Tannis Zeria’s uncle. Retired Military, runs Protocol 9 (a discreet health care / extended coverage service for their corporate clients). Scott Roush – Member of the black-out team dispatched to Astel Diaspora. Hal Beldras – Birlo Mech, throwback, Teslem Station. Daniel Beldras – Birlo Mech, Hal’s cousin, Teslem Station. Albert Channing – Master-Mech in charge of the Mech-Bay at Teslem Station. Susanna Dar – ‘By-blow’, a half-Korlo – Diasporan working at Ethos Station. Ashley Harlo – Med-Tech assigned to project – William and Regina Harlo’s daughter, Kier’s cousin, works on the Armatus Project at Velasco Station. Married to Loren Derval. Blake Huri – Research assistant to Dr. Kruvic. Rey Kezlen – Worked briefly with Dr. Tom Sando at Harlo-Fyre, works primarily with Dr. Selwyn Maro. Nash X. Korpes – Diaspora born prodigy working for KMR&D and assigned as the Master-Tech of The Armatus Project, Velasco Station. Tyran throwback and N01 on the BBS. Jasper Krane – Comptroller, Royce Malvyne’s boss and friend. Vivienne Kruvic – Head of Special Projects KMR&D, dying from K’Shar Syndrome. Chief Inspector Aldus Lang – KMR&D investigator, sent to investigate the escape of James Narcisco from Velasco Station. Grant Lynel – Med-Tech, Head of a sub-group studying throwback genetics run by Dr. Kruvic and Dr. Maro, Teslem Station. Royce Malvyne – Comptroller for KMR&D, works on the Armatus Project at Velasco Station. Selwyn Maro – Head of the Recombinant Genetics Department, KMR&D, working on a cure for K’Shar Syndrome. Captain James Narcisco – Assigned to The Armatus Project as ‘test subject’, eventual leader of Clan Destine. Talim Rand – Director of KMR&D. Alys Santaro – Master-Tech at Teslem Station, and Nash’s advocate. Winston Stayne – Med-Tech with KMR&D, throwback, and Nash’s cousin. Kier Tamsin – Clinical Psychiatrist – William Woodbine’s nephew, Ashley’s cousin, works on the Armatus Project at Velasco Station. Davis Trent – ‘By-blow’, a half-Korlo – Diasporan prodigy working for KMR&D, works on the Armatus Project at Velasco Station as Master-Mech. Nash’s best friend. Flynn Wynt – Civilian Employee at Junelle – Bartender, head of the local black market, and older brother of Kalish. Kalish Wynt – Master-Mech’s apprentice at Junelle, friend of Nash, and liaison for local black market. Jacob Ason – Head of the largest crime family in all of Korlune. Jon Ason – Assassin, middle son of Jacob Ason. Russell Ason – (Twin) Eldest, son of Jacob Ason. Robert Ason – (Twin) Younger, son of Jacob Ason. Seth Ason – Youngest son of Jacob Ason – scholar. Loren Derval – Former Suppression Guard, Bodyguard to Kier Tamsin, Ashley Harlo’s annulled husband. Clara Fenton – Perry’s Mother, and old love of Royce Malvyne. Perry Fenton – Former Council Operative, now with Clan Destine. William Harlo – CEO of Harlo-Fyre, Ashley’s father, Kier, Rose, and Devlin’s uncle. Regina Harlo – Socialite, wife of William, sister of Edric Mallon, Council member from Thallen Cluster. Kaspar Isoldrun – Council member from Riva Cluster. Jasco – William Harlo’s personal driver and bodyguard. Garren, Lar, and Jex – Harlo-Fyre Security Forces. Tye Koris – Council member from Merrow Cluster. Carol Makon (nee Isoldrun) – Daughter of Kaspar Isoldrun, Edric’s wife, dying from K’Shar Syndrome. Edric Makon – CEO of Makondi Corp, Regina’s younger brother, rival company of Harlo-Fyre, Council member from Lorsa Cluster. Tom Sando – Former Head of R&D, Harlo-Fyre, committed suicide. Owen Saunders – Head of R&D, Harlo-Fyre. Mike Sekkaro – CEO of Sekk-Tech, Council member from Elune Cluster. Devlin Tamsin – Younger brother of Kier Tamsin. Rose Tamsin – Archaeologist, sister of Kier Tamsin. Jack Umbra – Personal legal rep for William Harlo and assorted powerful individuals. Rumored to have ties to the Ason family or be a Council Operative. Stan Dros – M’Kang, infiltrator. Diani Fel (nee Korpes) – Mech, Nash’s older sister. Vincent Fel – Med-Tech, Diani’s husband, father of Sam and Delayne. Delayne Fel – Daughter of Diani. Sam Fel – Son of Diani. Suna Korpes – Retired botanist, Grandmother to Nash and Diani. Pari Korpes – Master-Mech, Diani and Nash’s mother, Winston’s aunt. Rozwyn Kuld – Artist, Fiancée of Nash Korpes. Ben Kuld – Med-Tech, Rozwyn’s father. Marissa Yennig – Leader of a M’Kang raiding party. Field Marshal Hartoum: Military Leader/Dictator of Ankoresh. Responsible for establishing peace with Korlune. Ed Olivier – Ankor Master Mech, Admin on BBS, friend of Nash, CWM (Chief Weapons Mech) is his official title. E02 on the BBS. Evan Stannic – Ankor Master Tech, Admin on BBS, friend of Nash, CFT (Chief Field Tech) is his official title. E01 on the BBS. Commander Selene Tekel – Archaeologist and historian, specializing in military technology. Affiliated with Rey Kezlen and Selwyn Maro. The Kind Voice – Nash began hearing this after his seizure at Teslem Station. The Sarcastic Voice – Provides a counterpoint to Nash’s internal banter. The Darkness – Plays off Nash’s darker instincts. It also emerged after the seizure. C01 – Also referred to unofficially as ‘Control’; the AI that runs the BBS.